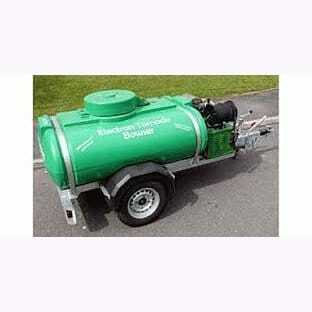 The zero emission and zero pollution portable bowser is powered by two 225 amp batteries which drive a 24v DC electric motor which produces 1300psi at 13 litres per minute. Providing around 60 minutes constant washing time away from a water source with a maximum 1.5 hours constant use. Complete with chemical pickup and hose reel as standard with 30 metres of hose. Water Flow (at full pressure) 13 litres per min.